John D. Doran was born in Boone, Iowa in 1961. He attended the University of Iowa, where he earned his Bachelor's degree with High Distinction in 1984 and his degree as Doctor of Jurisprudence in 1987, and is now in his 31st year of practicing primarily criminal law. Mr. Doran spent the first seven years of his career as a criminal prosecutor, including as Assistant Polk County Attorney, and First Assistant Warren County Attorney. 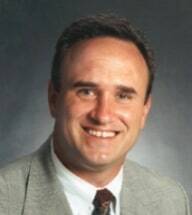 Since 1994 he has been in private practice in Des Moines, practicing in criminal defense and regularly defending clients statewide, including over 80 counties encompassing the areas of Mason City, Waterloo, Cedar Rapids, Iowa City, Muscatine, Ottumwa, Oskaloosa, Fort Dodge, Webster City, Forest City, Charles City, Tama/Toledo, Spirit Lake, Sioux Center and Lemars, Emmetsburg, Atlantic, Council Bluffs, Osceola, Ames/Nevada, Marshalltown, Boone, Carroll, Indianola, Knoxville, and over 40 other county-seat cities and towns.